Zambia’s Library icons honored at on going SCECSAL 2018. 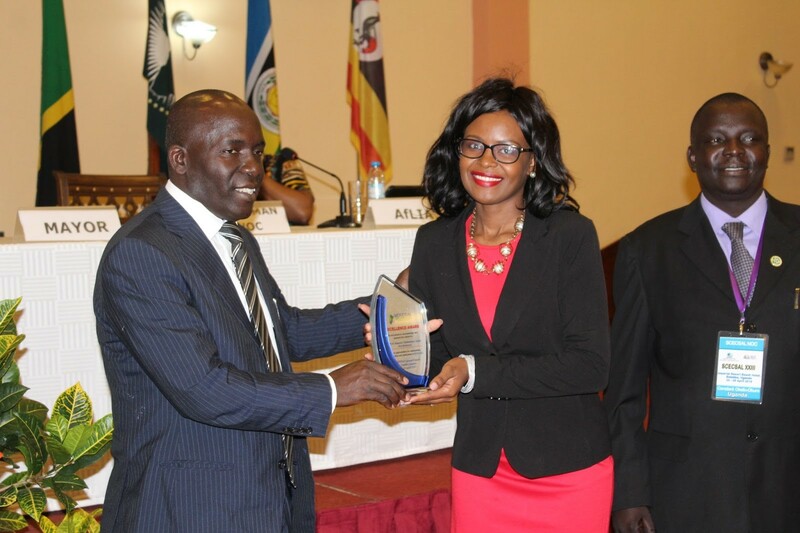 The SCECSAL General Council has recognised five individuals – one from Kenya, two each from Uganda and Zambia respectively – for their dedication and contribution to the development of SCECSAL since its establishment in 1974 and awarded them the SCECSAL Excellence Award. The SCECSAL Excellence Award, inform of a plaque, was introduced in January this year and the SCECSAL member Associations were invited to nominate individuals to be considered for the Award, and associations from eSwatini, Kenya, Namibia, Uganda and Zambia submitted their nominations. 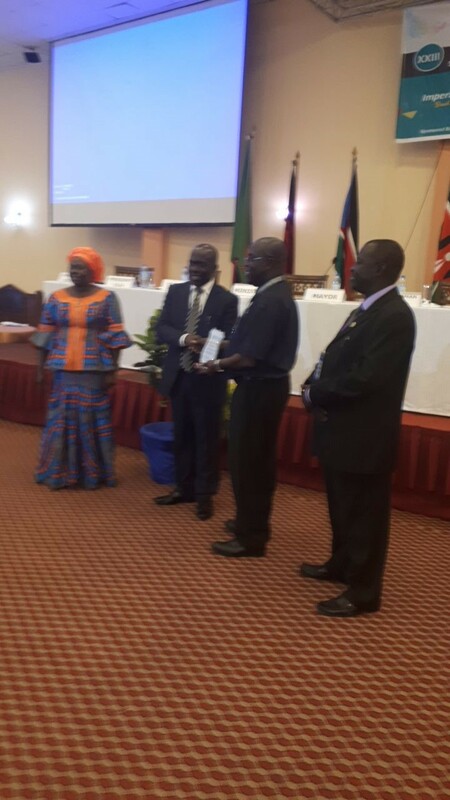 Dr. Justine Chisenga receiving his award at ongoing 2018 SCECSAL in Entebbe, Uganda. SCECSAL. He played a key role in organizing and hosting the second SCECSAL conference, and the first outside East Africa, in Lusaka, Zambia in 1976.
memory” and he has provided support and guidance to Local Organizing Committees of SCECSAL conferences, facilitated the development of the SCECSAL brand and logo, ensured that SCECSAL has an online presence, presented papers at SCECSAL conferences, served on several SCECSAL conference papers review committees, and has facilitated consultations on the SCECSAL constitution and various SCECSAL guideline documents.